These birds can be found in the north-western part of South America and the eastern part of Central America. The species is the largest of the Ara genus. Green-winged Macaws are frequently seen in pairs or family groups and occasionally gather in small flocks of six to twelve birds. 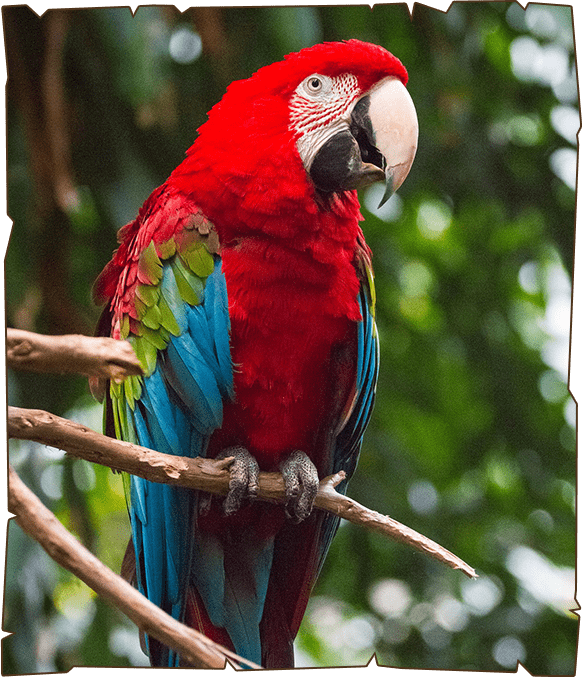 Larger groups are found in feeding trees or on clay banks, where they may group with other Macaws. They are normally monogamous, having only one mate for life. In the wild, macaws do not mimic other birdcalls. Mimicry is only noted in captive species. They can learn to copy human speech, but are not considered good mimics.